Palate: A round Cognac with a complex body. Notes of leather and oak come to the fore, with a sweet combination of flowers and fruit. It has a great rancio that is peppery. It is a masculine Extra Old Cognac. To continue the legacy of this exclusive collection, Hennessy have released the second Marc Newson Hennessy XO. The bottle is very much a fine example of Marc Newson’s style of design; with smooth geometry and an absence of sharp or cutting edges. The ‘corrugated’ effect on a classic Hennessy XO decanter has turned heads in the design world, as it simultaneously magnifies and reflects the light, and enhances the sensory elements of this spirit. Newson crafted the bottle having been inspired by the furrows dug in the soil of vineyards, and believes that this is the genesis of creating Cognac. The end result is a more vivid focus on the color of the Cognac. 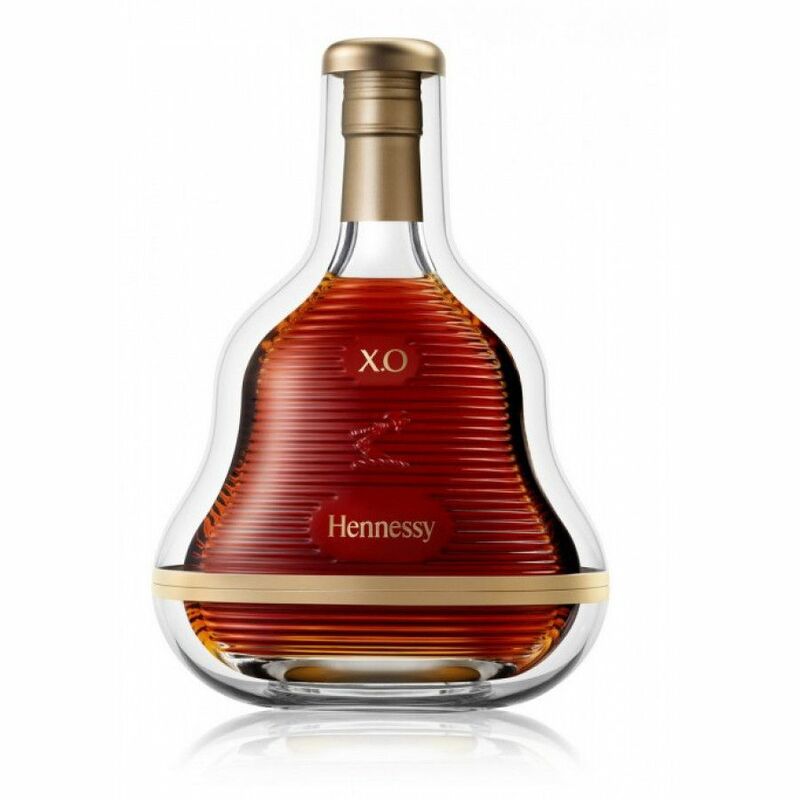 This is the second edition following the Hennessy XO Marc Newson Limited Edition I. The Hennessy Marc Newson Second Edition Cognac, is a fine assemblage of eaux-de-vie aged up to 70 years, and this is the second in line to wow Cognac fans worldwide. The design brief behind Hennessy certainly fits the Hennessy XO Cognac, which is smooth, complex and iconic. Don’t miss out on the opportunity to bolster your personal Cognac collection - these are guaranteed to sell out fast. This is a Cognac to be enjoyed by all audiences of Cognac drinker. Whether you are trying Cognac for the first time, or are somewhat seasoned, you can drink it on ice, neat or with a cigar.